· The necessary RRR Teacher’s Manual contains the complete scripts to all of the chants, additional suggestions and activities and answers to all the exercises in the workbook. Also included are over 70 flashcards to use with the chants for TVR (total visual response) and reinforcement, and even a few classroom chants posters. 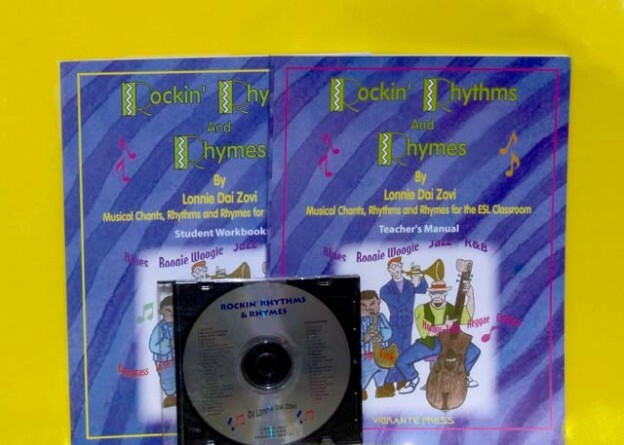 · The 42 track RRR CD contains the lively 21 musically accompanied chants as well as 21 non - voiced music for karaoke or for the students’ or teachers’ own variations. There is a discount on schools ordering multiple copies of the workbook.